Five Neolithic houses have been recreated at Stonehenge to reveal how the ancient monument’s builders would have lived 4,500 years ago. 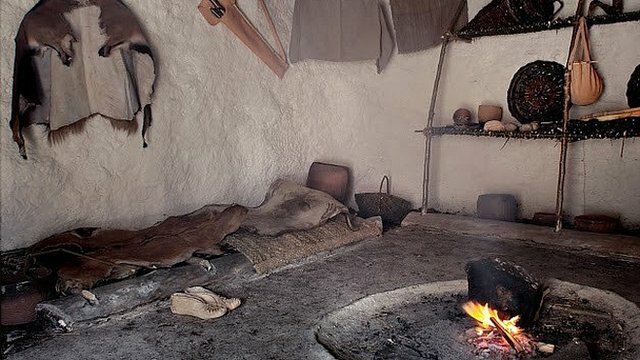 The single-room, 5m (16ft) wide homes made of chalk and straw daub and wheat-thatching, are based on archaeological remains at nearby Durrington Walls. The houses open to the public, later. 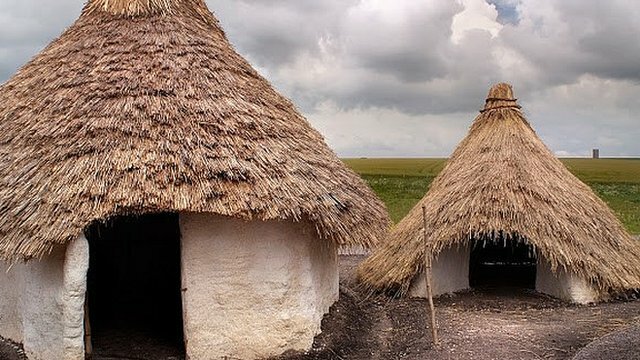 The “bright and airy” Neolithic homes are closely based on archaeological remains of houses, discovered just over a mile away from Stonehenge. Dated to about the same time as the large sarsen stones were being erected, English Heritage said experts believe they may have housed the people involved with constructing the monument. Excavations at Durrington Walls, not only uncovered the floors of houses but stake holes where walls had once stood – providing “valuable evidence” to their size and layout. “We know for example, that each house contained a hearth and that puddled chalk was used to make the floor,” said a spokesman for English Heritage. Using authentic local materials including 20 tonnes of chalk, 5,000 rods of hazel and three tonnes of wheat straw, it has taken a team of 60 volunteers five months to re-create the homes. Susan Greaney, a historian at English Heritage, said it had been a “labour of love” and an “incredible learning experience” for the volunteers. “One of the things we’re trying to do at Stonehenge is to re-connect the ancient stones with the people that lived and worked in the surrounding landscape,” she said. We operate guided tours of Stonehenge. Learn more about the Neolithic Houses and explore the Stonehenge Landscape with a local expert.